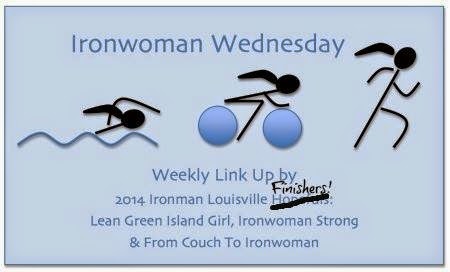 Ironwoman Wednesday is a weekly linkup on a variety of triathlon-related topics. It is similar to Tri Talk Tuesday that a few other bloggers started, but the more people talking about triathlon the better! Gabi at Lean Green Island Girl, Michelle at Ironwoman Strong and I are all officially Ironwomen! How has it already been a week and a half since our Ironman? I still can't believe that it is truly over. 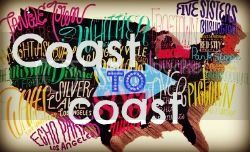 This Ironwoman Wednesday post is hard for me, it is the last one and it means admitting that our dream of becoming an Ironman has been realized and it is time to move on to other things. For the past 6 months, Mike and I have been officially training for Ironman Louisville and now that it is over, I feel a bit lost. I feel like we should be swimming, biking and running to the fullest, but with going back to work and our bodies needing less intensity/volume, that just isn't possible. Since our Ironman, Mike and I have biked once (15 miles), swum once (1 mile OWS race) and run once (3 miles). Luckily, for me, Mike decided that he wanted to do the Philly Marathon in November so we have our next big goal that we are officially training for as of this week. We are taking, a bit, of time to ramp back up to the higher running miles, but we do not have any official swim or bike workouts planned. We will try to continue to swim and ride outside as long as possible! So in the short term, the "what's next?" for us is the Philadelphia Marathon on November 23rd, our fourth marathon attempt. I have an idea of what I would like to try for, but I need to wait until I get deeper into training to see if it is possible or not. In the long term, or next year, we have races planned. We are already registered for a 70.3 race in the north country (Hague, New York) in June. We are planning on racing a few more long-distance tris (70.3s, 100 mile and another special triathlon), plus a few road races. We may not race a stand-alone marathon next year, but we'll see. I'm sure you are wondering, but probably not since I have already answered this question numerous times on the blog, if we are planning on doing another Ironman or not. When we do one will depend on how our plans for next year pan out. If we do not get into some races we are planning for next year, we will do another Ironman next summer/fall. If we do get into the races we are planning for next year, we will do our second Ironman in 2016. 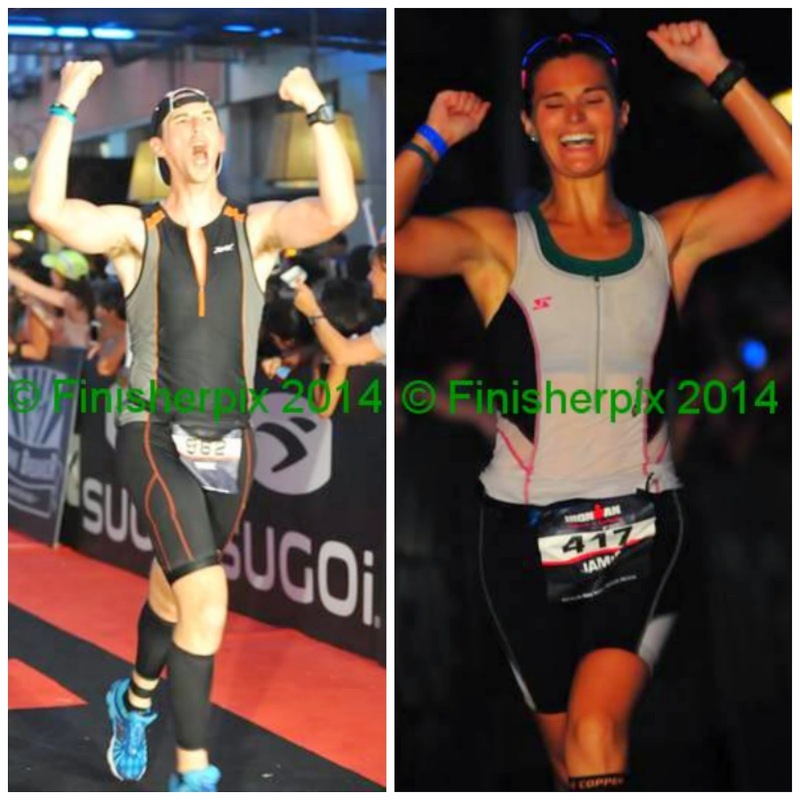 Since we both race, it is unlikely that we will do an Ironman every year. It is expensive and does take a lot of time and effort (which we love but I don't think it is financially responsible for us to plan on one every year). We are also planning on going to Alaska to see Crystal and Joe next year, as well as, go to Maine to see my parents in the summer. For now, I am feeling a bit sad. I miss the intensity, I miss hitting new distances on the bike, I miss the long training weekends and just everything about the training. The race was the icing on the cake. It still hasn't fully hit me that I accomplished something major, I'm hoping it will eventually, so I am also a bit sad that I haven't had that feeling yet. Maybe I won't, the cons of being an endurance junkie I guess. That's why I know another Ironman (or two or three or four, you get the idea) is in our future. Exactly when that will be is up in the air for right now, but I am excited to continue our adventure. We are no longer "from couch to Ironmen", we are Ironmen. We are just going to become better, stronger, faster Ironmen in the future! It's so hard after any race to figure out what's next. There's so much that goes into it and then its suddenly over. I imagine that's even more intensified with an ironman. Good luck with the marathon though! Asking the "what's next?" question makes total sense. You've spent so much time training for the race, and once it's over, it's only natural to start thinking about what's on the horizon. It obviously helps to have another goal lined up--whether it's doing another race, learning a new skill, etc. Super congrats (again!) to you and Mike! It is always a bit sad when the race is over, but so glad that you have many new adventures planned. Alaska will be awesome. Congratulations on achieving your amazing goal!!! Experiencing a letdown like that is so normal. I definitely felt that once I had accomplished my Boston Marathon dream. Give your body time to rest and recover, and then focus on your new amazing goals! You are such an inspiration! I love that you "miss the intensity" of your IM training. I'd probably be on the couch thanking my lucky stars for some rest. You guys are amazing and this has been so much fun to hang out here for the ride. I know you'll do more. I feel 'lost' pretty much everyday right now. :/ Hopefully I'll find my way soon. I can't wait to shred up some trails with you here. Keep being awesome.